Samsung has over the past few years has been able not only to win the title of market leader in consumer SSD, but also to become in this market the most important innovator. The first SSDs that Samsung has managed to attract serious attention to their own products, were representatives published in 2011 Series SSD 830. A year later, with the advent of Pro 840 , Samsung drives have become a kind of “gold standard” – the best SATA SSD for high-performance personal computers the upper price segment. Along the way, Samsung and struggled for mainstream users: for this category of consumers have been issued a special series of drives 840 and 840 EVO. Using its huge industrial and engineering capabilities, these drives, Samsung was able to introduce the first in the market trёhbitovuyu TLC NAND, what has made significant reduce the cost of storage. The vertical integration of production samsungovskogo SSD – a great trump card in the implementation of any new technology, and with the use of consumer SSDs TLC-memory company was able to get ahead of the nearest competitor by at least a couple of years. Innovation continues to this day. 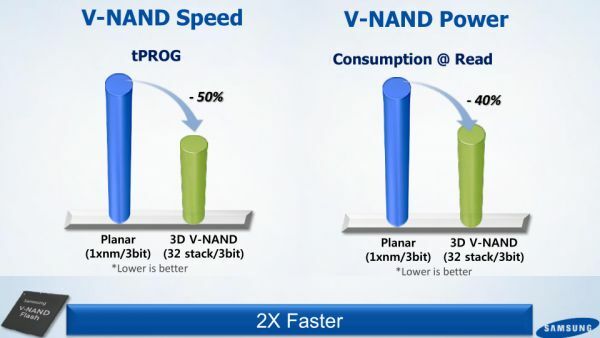 A huge leap forward Samsung has made in 2013, when able to start serial production of three-dimensional flash, 3D V-NAND. Three-dimensional memory easily solves the problem of scalability crystal flash memory and further increase storage density in them. Obviously, the traditional extensive way, involving the production of cheaper flash memory due to the introduction of new technological processes with thinner standards in the near future will encounter serious fundamental obstacles. Having mastered the same method of producing multilayer crystal flash memory, Samsung has received a huge scope for further smooth movement forward. Released in the middle of last year, SSD 850 Pro , which became the first serial flash drive on the basis of 32-layer MLC 3D V-NAND, demonstrated the enormous potential of the new technology. Output structure of flash memory in the third dimension marked by a noticeable increase in performance and a substantial increase reliability, resulting in Samsung 850 Pro was awarded the title of one of the best solid state SATA-drives modern enthusiast. However, the Samsung 850 Pro still have one bad, in terms of the average user, the flaw. 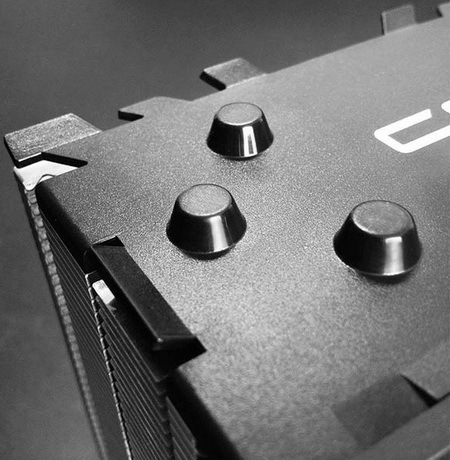 This drive, as well as any flagship product, has a high enough price. 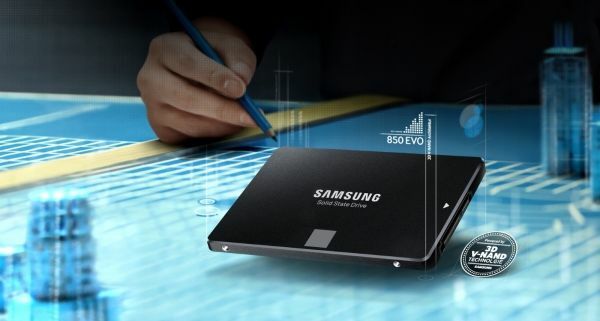 Therefore, following this model, Samsung, which in its rapid movement towards progress can not stop already, it seems, nothing has released another SSD – 850 EVO. This drive is based more on a variety of fundamentally new three-dimensional flash memory, which combines advanced multi-layer 3D V-NAND-structure architecture udeshevlёnnoy TLC NAND. As a result, in the face of Samsung 850 EVO looming mass products claiming to become unbeatable option in terms of price, performance and reliability. At least in theory, it looks that way. For the same, to see this beautiful legend, we took a couple of tests on specimens Samsung 850 EVO. These drives just appear in the sale, and therefore the results of their tests cause great practical interest. 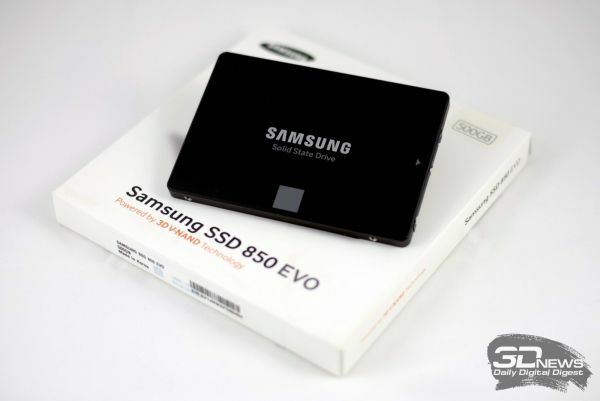 In spite of all the innovations, the new Samsung SSD 850 EVO – direct successor of the previous mass model 840 EVO. 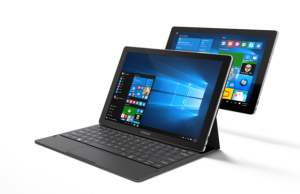 The key components that provide good consumer characteristics 840 EVO, were TLC-memory, Samsung and its own controller technology TurboWrite. The new SSD 850 EVO set almost the same, just newer: the place of TLC NAND came a three-dimensional TLC V-NAND, Samsung MEX controller instead uses an updated controller Samsung MGX, will not go away and Technology TurboWrite, in the description which added the adjective “improved.” Look at all this set in order. Naturally, the most important and most interesting, the Samsung 850 EVO – is a three-dimensional trёhbitovaya memory. And on 3D NAND , and TLC NAND we said earlier in the respective surveys. But now both of these technologies have merged, and I must say, it turned out they have a very organic. In a conventional planar TLC-memory there are two problems, rooted in the principle of its operation: low speed and low reliability. This is due to the fact that cell TLC NAND to store three bits of data must distinguish eight voltage levels, while, for example, MLC NAND uses only four levels. Therefore, programming and removal of the voltage level in the TLC NAND takes more time, and the reliability of storage is severely affected by the wear of the semiconductor structure of the cell: even a slight thinning of the dielectric layer can lead to leakage of charge from the floating gate. Moreover, the introduction of new, more “fine” process technology problem TLC NAND cell endurance is only getting worse, since the components of each cell becoming smaller geometric dimensions of the original. The key idea is 3D V-NAND is more dense storage in the flash memory crystals can be achieved not by the geometry of miniaturization process technology, and by the location of the cells in the three planes. For example, used in Samsung Pro 850 three-dimensional MLC NAND has 32 layers, which allows use in its production of 40-nm process technology, but still receive semiconductor crystals with a smaller area than that of the planar MLC NAND, released on 16-nm process . Obviously, if a similar approach applied to TLC NAND, a problem with the reliability and speed of the part to be easily solved. “Kondovogo” 40nm cells are more resistant to wear and tear, and their floating gate can hold a much larger number of electrons, providing a firm variation in programming and recognition logic levels. In other words, crossing TLC technologies and 3D V-NAND does not change the basic principles of operation trёhbitovoy memory, but climb enlargement of cells leads to better stability. Samsung, in particular, argues that the likelihood of errors when reading data from its TLC V-NAND, the produced by 40-nm process, about an order of magnitude lower than that of the planar TLC-memory. There gain and speed of programming. Planar TLC NAND recording data requires submission to the control gate cells of several successive pulses and numerous intermediate checks the correctness of programming. On the same three-dimensional TLC V-NAND manage to reduce the number of iterations, and the length of write operations is reduced by about 50 percent. Similarly, decreasing the cycle of reading. As you probably remember, semiconductor crystals of modern 32-layer MLC V-NAND, produced on the technological process with the standards of 40 nm and used in Samsung 850 Pro, have a capacity of 86 Gbps. For Samsung 850 EVO memory is done exactly the same technology, but due to the recording in each cell is not two, but three bits of information, the capacity of the crystals increases and a half times – up to 128 Gbps. In addition, these crystals have approximately twice smaller area compared to planar 128-gigabit crystals TLC NAND, which produces Samsung 19-nm process technology. 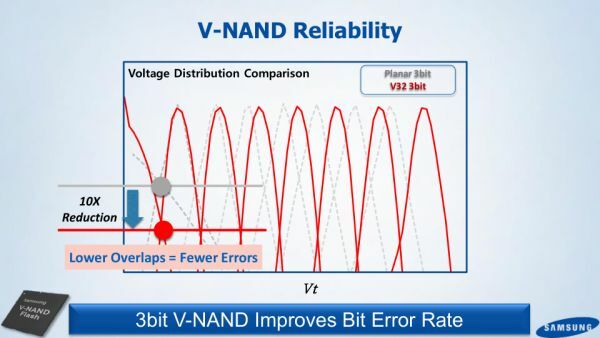 And it is – a perfect illustration of the effectiveness of the design TLC V-NAND: with the introduction of three-dimensional Samsung it not only achieves a significant improvement in performance speed and reliability trёhbitovoy cheap memory, but also further reduces their costs on its production. Given that the 850 EVO eventually should become low drive, Samsung did not install it, and your best controller MEX, which is using SATA-interface allows you to get maximum performance. Especially for the 850 EVO, a new simplified and more energy-efficient controller MGX, which has only two instead of three core ARM Cortex-R4. However, it is produced by more modern process technology, which allowed the manufacturer to raise its frequency. 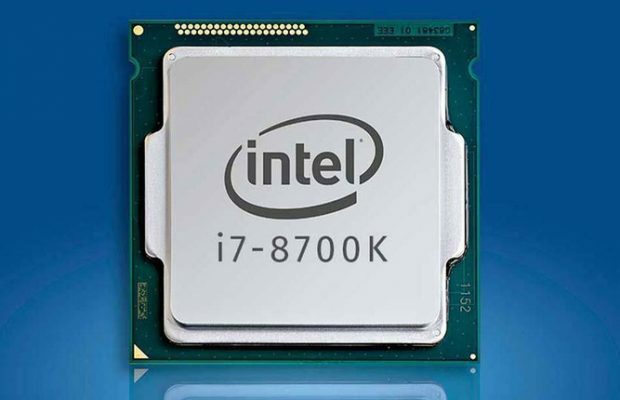 As a result of the loss in peak performance was only about 2-5 per cent, which is hardly a serious loss.Moreover, in the terabyte version 850 EVO, where the service for address translation table really want good performance, using the old controller MEX. This table perfectly everything or almost everything, except for the cost. Samsung decided not to get involved in a price war with manufacturers of cheap storage, and to act with his promising innovation in the middle market segment. However, the fact she has a good reason: still 850 EVO – enough performance and reliable SSD to buy it well and not quite a knockdown price. Speaking about the merits of the Samsung 850 EVO, start, perhaps, is with the fact that the manufacturer gives to the flash-drive five-year warranty, which corresponds to the warranty period of many flagship models. Longer guarantee have only Samsung 850 Pro and SanDisk Extreme Pro . And this means that Samsung expects its TLC V-NAND resource at least not worse than the modern planar MLC NAND. This is also indicated in these statements and endurance: for younger models writable to 41 GB per day, and for seniors – 82 GB on a daily basis. That is, the reliability of the Samsung 850 EVO clearly above average, and the modification of 500 GB and 1 TB and all have the same resources as the Samsung 850 Pro. In other words, in terms of the declared resource Samsung 850 EVO much closer to the road than to the budget models. Much the same can be said about the alleged speed characteristics. Samsung backlog of 850 EVO older brother 850 Pro, which we believe the fastest SSD today, purely symbolic, with manifest it solely on read operations. It seems that Samsung 850 EVO and will be able to compete with the flagship here SATA SSD from other manufacturers. However, it should be understood that the high rate stated in the specifications, take into account the work of technology TurboWrite, used to speed up the operations of pseudo-SLC-cache. And the numbers in the table – this is the speed of the cache, that is, during long operations with large amounts of data we would expect quite a different speed. However, the size of the fast cache the Samsung 850 EVO is not too small. For models 120 and 250 GB of its volume is set at around 3 GB for modification 500 GB – 6 GB, and for terabyte drive – 12 GB. When recording data on the first storage device is always filled with the high-speed buffer, and during the idle time of the data transferred in a slower TLC-memory. Thus, in normal everyday work no performance degradation is likely to not be noticeable. Implemented in Samsung 850 EVO and all other attributes of a good SSD. It has support for energy-saving state DevSleep, and hardware encryption engine, which is compatible with the standards of TCG Opal 2.0 and IEEE-1667 and can be controlled from within the operating system, such as through standard means of BitLocker. It remains only to recall that the Samsung SSDs are equipped with one of the best service utilities Magican, version of which has now grown to 4.5. In this tool, in addition to the usual options for these types of programs, there are also support technology RAPID 2.1 – software caching IO in the computer’s memory. At this stage of development of this technology is the possibility to use a cache of up to 4 GB of memory. However, we still do not recommend using such functions, as they do not guarantee the safety of user data when the system fails or power outage. Samsung 850 EVO is based on controllers with eight-channel architecture and TLC V-NAND, these drives installed, the kernel has a capacity of 128 Gbps. This means that sufficient to ensure maximum performance level of internal parallelism have senior modification SSD capacity of 500 GB and 1 TB. That’s why in today’s tests are involved just two copies of news – with 250 and 500 GB. It is only natural that modifications Samsung 850 EVO different capacities outside look exactly the same. For this SSD is used in exactly the same 2.5-inch thin-walled aluminum enclosure height of 7 mm, as in the flagship model, the 850 Pro.Exterior color – black, on the face paint inflicted Samsung logo and gray square in one form or another is present on all SSD company of the same form factor. 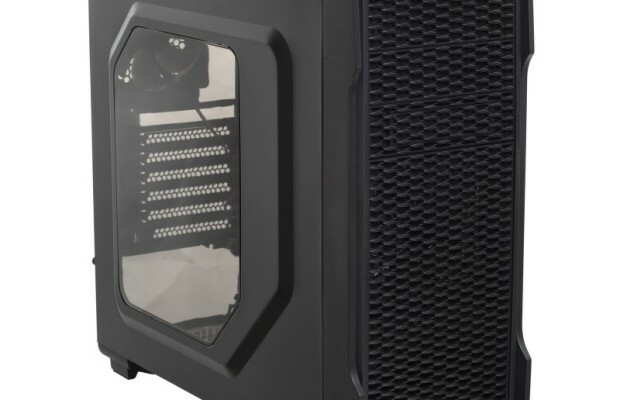 On the back side of the case has a label from which you can get information about the name and capacity of the model, its Article and serial number. But the interior of the Samsung 850 EVO look where unusual. For example, at the opening of the 250-gigabyte model, we were very surprised by the size of the circuit board and the fact that it is present in all four chips. Inside the 500-gigabyte model used board slightly larger, but it is still a very long way to go to fill all the space inside the case. Modern technological processes that Samsung uses in the manufacture of filling their SSD, you can get by without any heat-conducting pads or other means to remove heat from the chip to the surface of the housing. Koreans did not shell out and implementation of the enhanced power supply circuit, which allows the controller to shut down correctly with the address translation table if I get disconnected. As for the nomenclature used in chips, in both cases, we see the same basic controllers Samsung MGX and the same flash memory chips, each of which has a capacity of 128 GB and contains within itself the eight 16-gigabyte crystals TLC V-NAND, produced by 40 -nm process technology. Do not differ from the SSD capacity of 256 and 512 GB and chip RAM. In both cases this LPDDR2 SDRAM 512 MB. Note that any individual chips SLC NAND, providing caching technology work TurboWrite, within the Samsung 850 EVO is not provided.Instead, the role of SLC-buffer plays a small part of memory cell TLC-separated from the total array. That is why the 850 EVO series drives are so atypical range of volumes that are multiples of 250 GB (with the exception of the younger version). Approximately 3.5 percent of the total capacity of the flash memory is reserved for pseudo-SLC-caching, and still about 5.5 percent – replacement fund and technology work wear leveling and garbage collection. So in conclusion, the external acquaintance with the Samsung 850 EVO – on the package. Rather, lack of it: in a box with a SSD, but the actual solid state drive, you will not find anything useful, even slide to be installed in 3.5-inch drive bay housing. In this regard, the model under consideration is similar to the rest of the SSD manufacturer. Proceed to test drive.